Once you complete the course, we will generate an electronic certificate of completion for you to keep in your personal records, and give to your employer. You will be able to print your certificate immediately after you complete the course successfully, and we will e-mail a PDF copy of your certificate to the e-mail address you provided during registration. If at any point you need to reprint your certificate, you will be able to login using your username and password and reprint your electronic certificate. 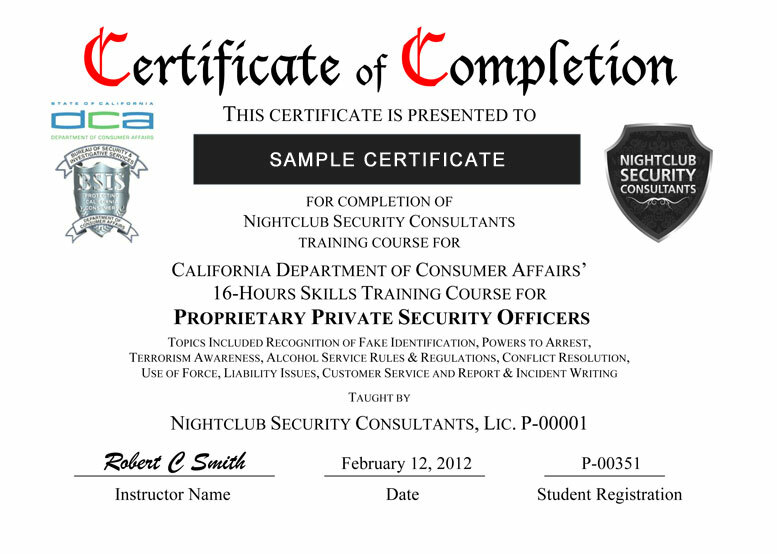 An electronic certificate will be provided to you free of charge upon successful completion of the course. You will be able to access and print this certificate at any time by logging in with your username and password.